During the implementation of the project „Independent and effective institution as a guarantee of protection of patients ‘rights,“ Law Scanner has created the Platform for an effective and sustainable mechanism for the protection of patients’ rights. The project is supported by the Open Society Foundation with an aim to improve the quality of protection of patients ‘rights through the promotion of the rights and raising awareness between experts and decision-makers of the importance of establishing effective and sustainable mechanisms for the protection of patients’ rights. Starting from the source of the problem – lack of attention focused on creating conditions for the functioning of the body that would adequately protect the rights of patients, the main motivation for the development of the Platform is to offer an optimal solution for the establishment of mechanisms to protect the rights of patients which will be able to respond to the reform and improvement of the health system in two ways: first – to provide an efficient protection, and second – to define guidelines for the development of future strategies to correct shortcomings and improve the health system using their previous experience. Project activities, that have resulted in the creation of the Platform, were implemented in cooperation with representatives of the Ombudsman, the Provincial Ombudsman, the Commissioner for Information of Public Importance and Personal Data Protection, as well as with experts in law, finance and European integration. In the first instance, the protection provided by local representatives, according to the seat of the hospital, which according to existing legislation involves the appointment of 44 members at the national level. Elected by the local assembly, upon the proposal of the municipal council considering the results of the previously announced public tender. Each office would have a number of assistants to the criteria of one assistant at 70.000 inhabitants. The jurisdiction of the local representative of patients includes consideration of complaints by clearly defined procedure, passing the order to eliminate violations, monitoring the implementation of laws and keeping records of the frequency and content of the complaint, as well as making recommendations and opinions on the promotion and improvement of patients’ rights. 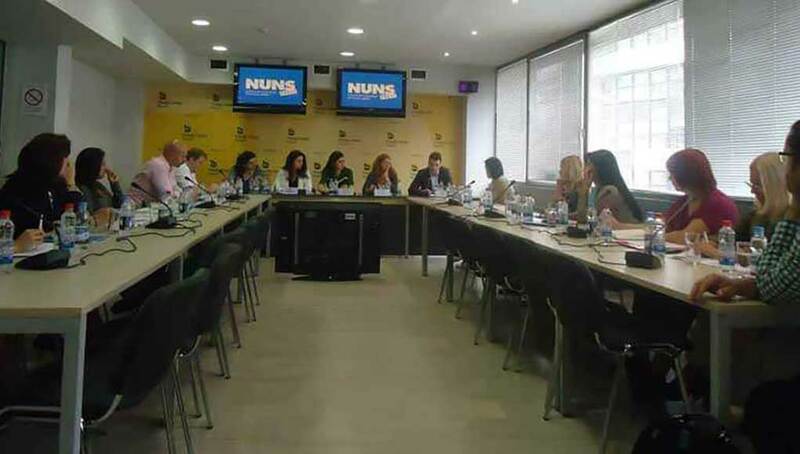 The second instance protection is ensured through the establishment of the National representative of patients seated in Belgrade, elected by the National Assembly of the Republic of Serbia on the proposal of the Committee on Constitutional Affairs and the obligatory opinion of the Committee of Health and Family. Republican representative will have five assistants being elected considering the results of the public tender. The jurisdiction of the National representative of patients is related to make decisions about appeals against decisions of the local representative of patients by established procedure, issuing guidelines and recommendations to the relevant institutions in order to eliminate practices that violate the law, discussing the reports, cooperation with the bodies in the field of protection and promotion of the rights of patients. Report on its activities, representative submit to the Parliament of the Republic of Serbia. The total budget of local governments that fall under the hospital / total population x 0.15% x the population of local government. Part of the funds required to finance second instance authority would be redirected from the existing authorities at the national level that are too cumbersome without jeopardizing their functioning, while the additional source of funding related to the allocation of budget resources, dedicated to improving the quality of the health care system through „The World Bank DILS“. Given the inadequate regulation mechanisms of protection stipulated by the new Law on patients’ rights adopted in May 2013, in accordance with reasonable concerns of experts that the provisions relating to the protection will not be implemented in practice, the Platform offers solutions that are fully in compliance with existing regulations and respond to the needs of human rights in the health care field.